The most common use of the minitrax is in live storage or carton storage systems which handle boxes, tote bins and containers. The FASTRAX Minitrax can also be easily integrated into shelving to make FIFO storage. 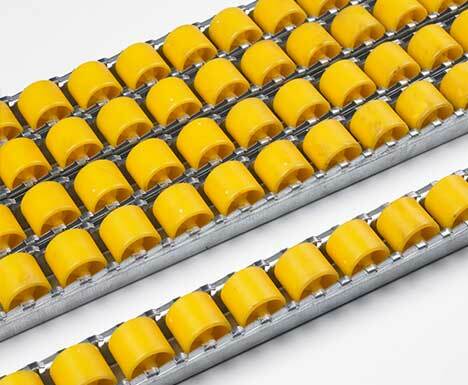 The FASTRAX Palletrax is a heavy duty gravity roller conveyor, it provides an ideal solution to pallet handling. 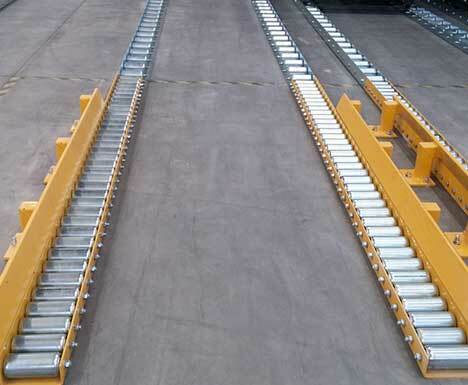 Used as floor mounted tracks for pallet storage. The FASTRAX Maxitrax is an even heavier duty version designed for handling nonstandard types of pallets, such as IBM’s and steel still ages. 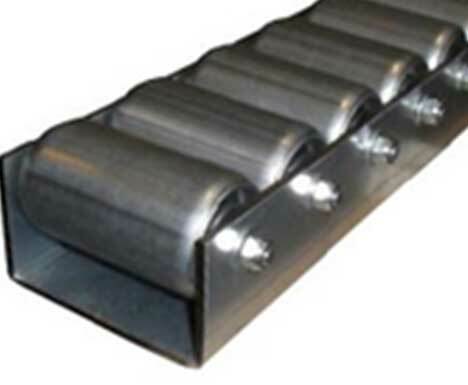 In-feed and out-feed forklift protection available.